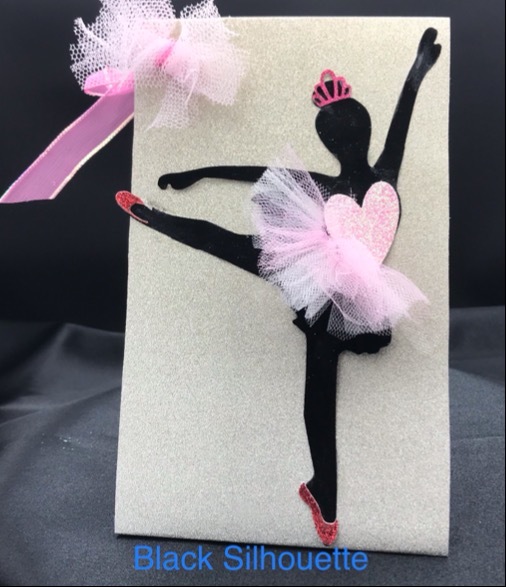 What little girl wouldn’t love these adorable party favor bags with a Ballerina theme to celebrate that special birthday. 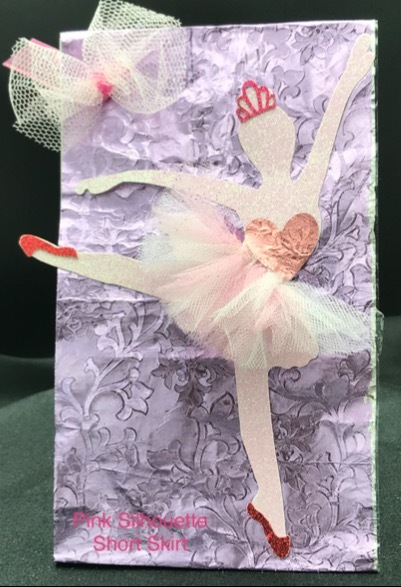 As part of the Red Shoe Collection, the footwear (ballet slipper) is a Pink silhouette with a white and pink tulle short skirt and purple foil metalic background. 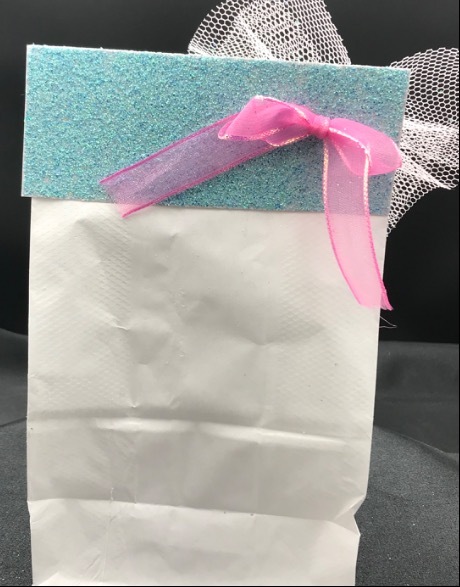 These favor bags are handmade using glitter paper and tulle. 3. 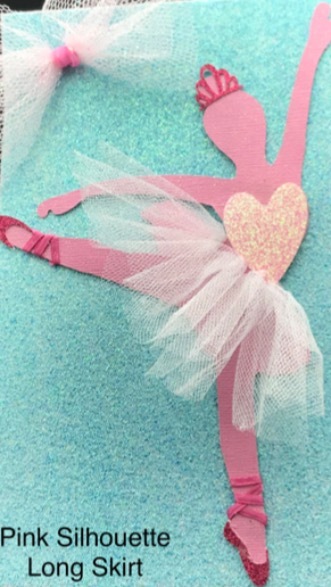 Pink silhouette with white tulle skirt (long) with glitter blue background. The bag size is 5” x 3.5” 8.5”. For in stock items, 1-3 day processing time. For non stock items 5 days.